HappyFox lets you create and manage Service Level Agreements (SLA) as part of your support services to help you reach your performance goals. An Objective - Choose the performance metric that your SLA should monitor. A Set of Conditions - Choose the ticket property based conditions, for SLA ticket scope refinement. Work Schedule Assignment - Specify the appropriate Work Schedule for the SLA to actively monitor tickets. Category Association - Select the various Category of tickets, the SLA should monitor. Go to Automate >> SLA. Note: Page Visibility is governed by a permission "Manage Smart Rules". If you cannot able to see this section, contact your administrator. Choose the objective that you want to track and define your target goal. Define conditions that govern when the SLA should be evaluated. Compose and send Email notifications to alert people when SLA breaches. Enter the name and description for the SLA. Also choose applicable work-schedule, exclusion statuses and categories. 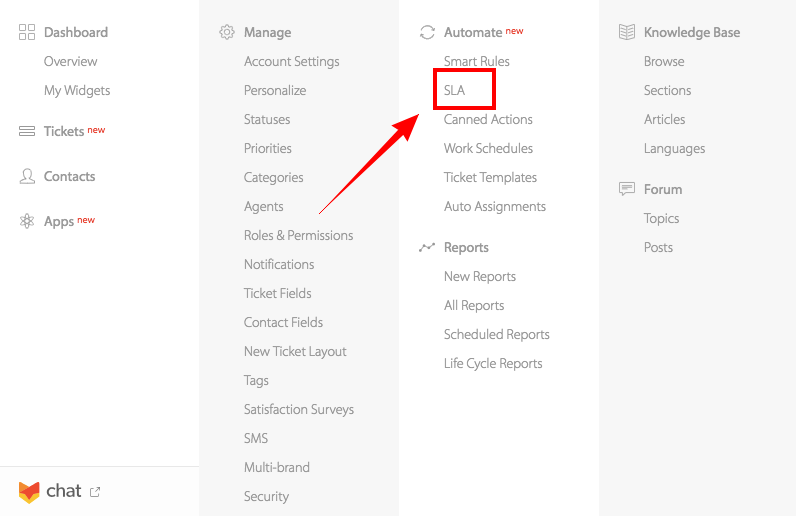 Additionally, you can enable " Start SLA evaluation only when all applicable conditions are met" toggle. Click on the desired SLA to view/edit. Find all the information about that SLA in the "Details Sidebar". Choose to Enable/Disable the SLA using the toggle. Click "Edit" to edit the SLA information. Click "Clone" to create a similar SLA. Click "Delete" to delete the SLA. Agents can identify and list tickets which have breached an SLA. Find out how. Agents can view tickets that are about to breach SLA through HappyFox Dashboards. More on that here. Individual SLA performance can be assessed via HappyFox Reports. Know more. How do SLAs work in HappyFox?